A friend of mine introduced me to the City Bowl market wine tastings over 6 months ago. 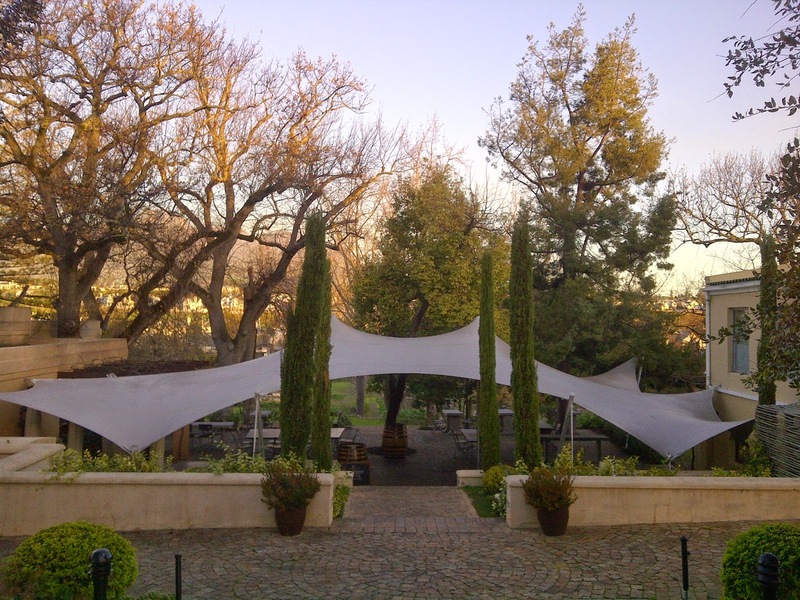 When we went to the tasting it was upstairs, I remember Doolhof and about 5 other wine estates were there. The one that stood out though, was Desert Rose. The winemaker Allen was a funny guy and made the tasting so much more interesting. I liked the Shiraz 2009 (R75), Jada's Rose 2009 (R70) and Merlot Winemaker's Choice 2010 (R120). All these prices might be different today (I assume they have increased), as these prices were at least 6 months ago. The funny thing about this experience was that we wanted to buy his wine right there and then, but he said they weren't selling their wine. I thought this was hilarious. Here we have around 600 wine producers in SA who are doing everything in their power to sell their wine and here is a winemaker who doesn't want to sell his wine, yet is out marketing his non-available wine. Too funny!! Well Allen gave us his email address so my friend emailed him that week asking to order wine, and apparently it was hard work, but he managed to get a mixed case out of him. I have since found Allen's wine at a boutique wine shop in Klawer, so if you are out that way, be sure to drop in a get a bottle or two. I hope to taste this wine again, as it was unique and good. In the Platters guide it says you can taste by appointment, so if you are out this way, be sure to call ahead and make an appointment, I'm sure it will be worth your while!! I have been to Kleine Zalze before but was keen to taste a few wines in particular today. The service is always friendly and welcoming here. It is a nice winery with a lovely setting. 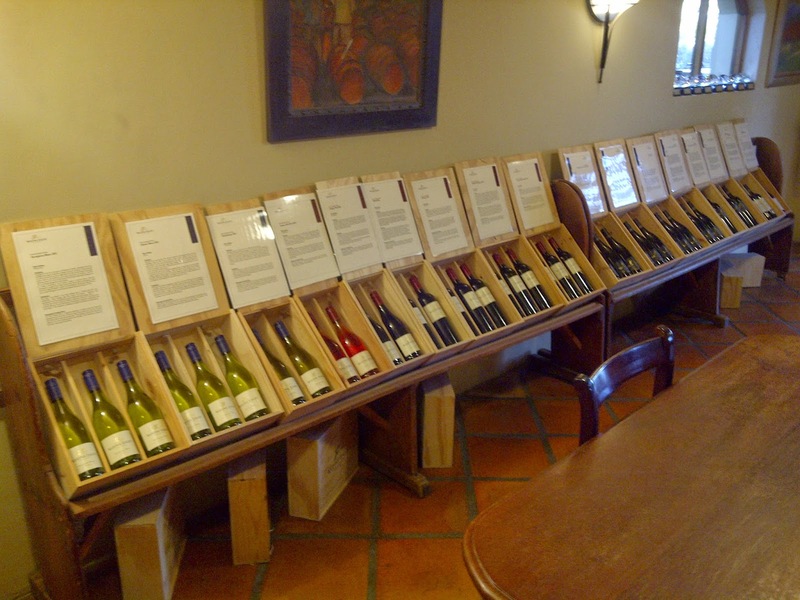 The staff are well educated on the wine and can therefore provide an informative tasting. Today I tasted the Shiraz Mourvedre Viognier 2012 at R95 a bottle. It had medium body, was fruity (cherry and berry tones), and very smooth. I thought this wine was nice, I liked it. Cabernet Sauvignon Barrel Matured 2010 at R100 a bottle. It had a lovely nose. It was smooth with a dry finish. I loved the flavour. It had a stringy-tannin finish. Shiraz Barrel Matured 2010 at R100 a bottle. It had a pooey, earthy nose. It was fruity and spicy on the palate, that like fruit cake. It had medium body. I felt this was a good wine. I also tried the Pinotage 2011 at R52 a bottle which was light in body, fruity, a little dry. I thought this wine was ok. I recommend visiting this winery and also eating a meal at the famous Terroir restaurant adjacent to the tasting room. 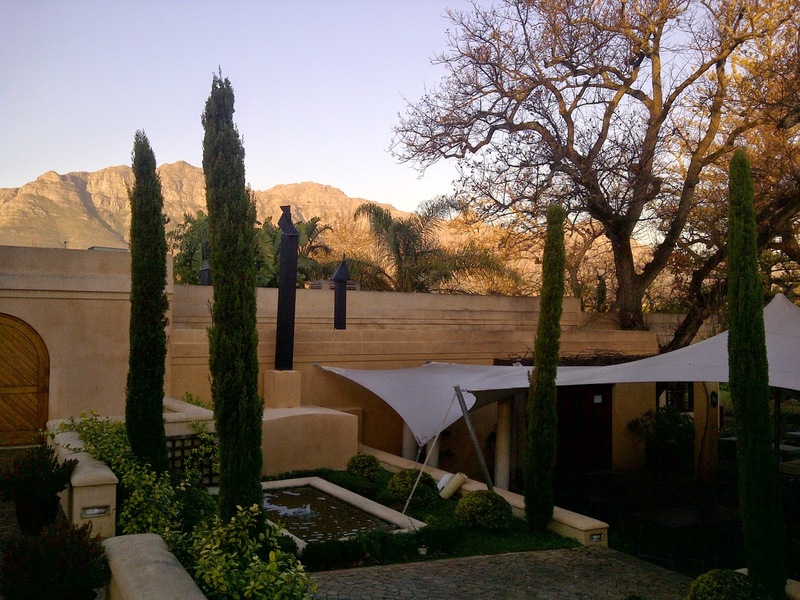 It is a beautiful place, you are always made to feel welcome and they produce good quality wines here.